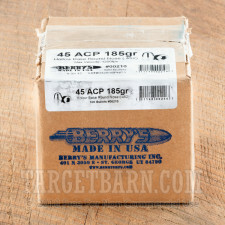 Berry's has been a family owned business for over 50 years, making it one of the most trusted and dependable bullet manufacture in the industry. 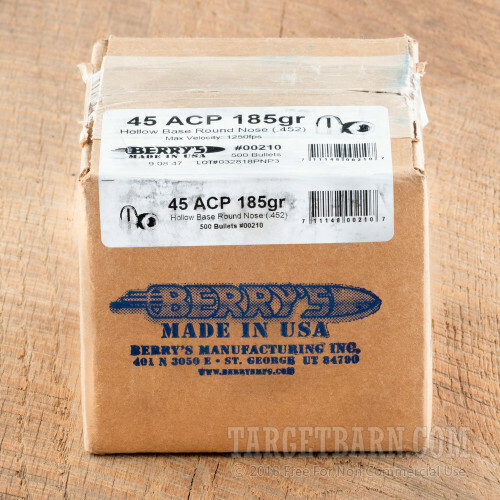 Located in St. George Utah, Berry's Manufacturing Inc. uses state of the art machinery to produce exceptionally high-quality pelted bullets for shooters who demand reliability and accuracy. Each Berry's bullet begins as a swaged lead core which then goes through electrolysis. 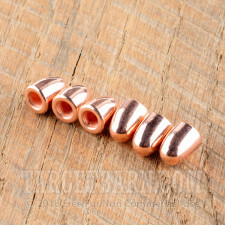 The lead cores are electrically charged causing the copper to cling to the lead. This results in a plating of 100% copper to achieve an exact, uniform thickness on a per caliber basis, ensuring that ever bullet meets precise specifications. This premium copper plating reduces lead exposure while shooting and keeps the bore of your firearm significantly cleaner. These bullets are Double Struck (DS) which means that they went through an extra sizing process after being plated. This process makes the bullet 100% symmetric which ensures precise accuracy from every shot. Warning: Plated bullets are not recommended for Magnum velocities over 1,200 ft./sec.